Much like their helmets, logo and uniforms, the story of the Cincinnati Bengals is definitely a colorful one. The history of the Bengals is full of lengthy periods of great struggle and great success. The dark days of the 1990s have given way to a seemingly bright future. 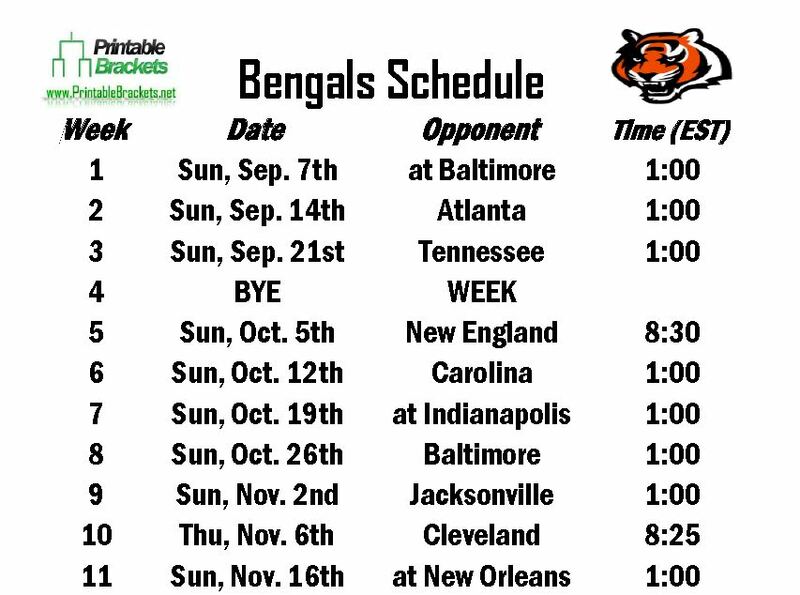 Before looking to the upcoming Bengals schedule, let’s take a glance back at the team’s history. The Bengals were founded in the American Football League by Paul Brown in 1966. The Bengals joined the AFC after the AFL and NFL merger in 1970. The Bengals won the AFC Central crown in 1970 and they repeated the feat in 1973. Cincinnati would go on to win the AFC title in 1981 and 1988, but both times the franchise was denied a Super Bowl victory by the San Francisco 49ers. The Bengals again won the division title and reached the second round of the playoffs in 1990, but the ensuing 14 seasons would lead fans and the media to call the team the “Bungles.” The Bengals had no more than eight wins in any season from 1991-2004. The swoon was highlighted by a 2-14 record in 2002. The current incarnation of the Bengals is led by long-time head coach Marvin Lewis and young quarterback Andy Dalton. The 2013 season will mark Lewis’ 11th year as head coach in Cincinnati. Lewis went 79-80 in his first 10 seasons with the Bengals. He has guided the team to the playoffs four times, but he is still in search of his first postseason victory. Dalton was selected by the Bengals in the second round of the 2011 draft. He has led the Bengals to the playoffs in each of his first three seasons, but they have been beaten in the first round in all three years. Dalton is flanked by young star wide receiver A.J. Green, who was taken in the first round of the same draft. The Bengals enter the 2014 season with two AFC titles, eight division titles and 12 playoff appearances.